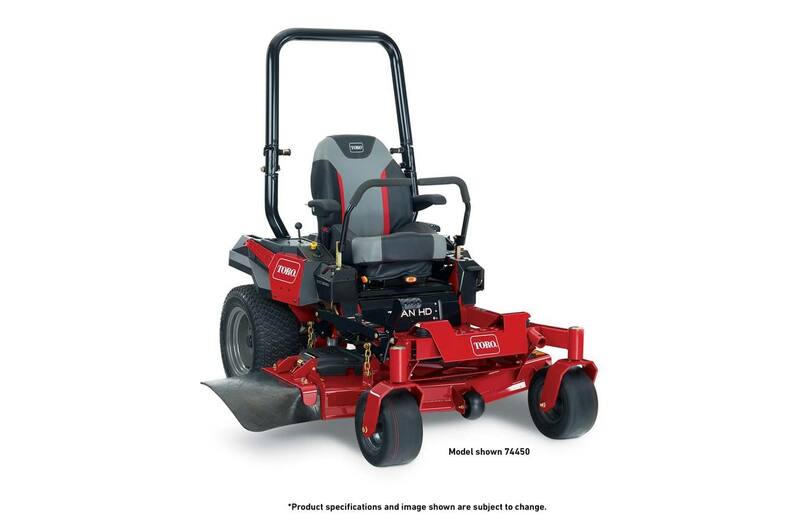 The TITAN HD 1500 Series mowers deliver durability, professional results and performance at an outstanding value. Tackle your toughest jobs, on or off the mower, with the all-new tool-mounting capability, bringing unmatched utility and productivity right to your fingertips. 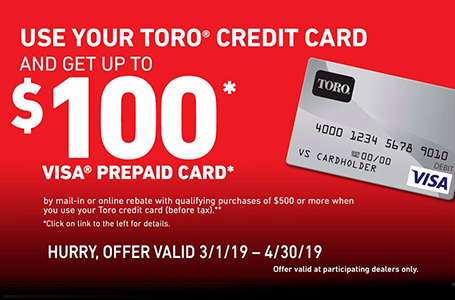 Enhanced Comfort - from the standard suspension seat, isolated floor pan design, easy access from the front or side of the machine, to the deck step guide and easy to use controls, Toro has the operator in mind. Powerful and reliable Toro engines are built specifically for the TITAN HD 1500 Series to provide optimal performance and reliability. Heavy-duty features like the two-barrel carburetor, automotive-style piston assembly, cast-iron cylinder liners, and self-cleaning air filter housing ensure this engine is up to the task. 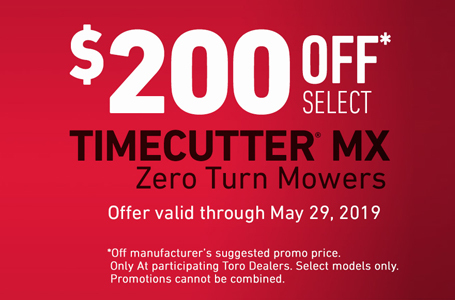 Commercial Grade Durability - from the durable 7/10-gauge high strength steel TURBO FORCE® cutting deck, to the rugged 3" x 2" tubular frame and commercial-grade hydraulics, the TITAN HD zero turn mowers are built to last. Innovative Tool Carrying - TITAN HD provides you the exclusive ability to easily attach your tools and accessories directly to the mower with the innovative tool-mounting brackets. 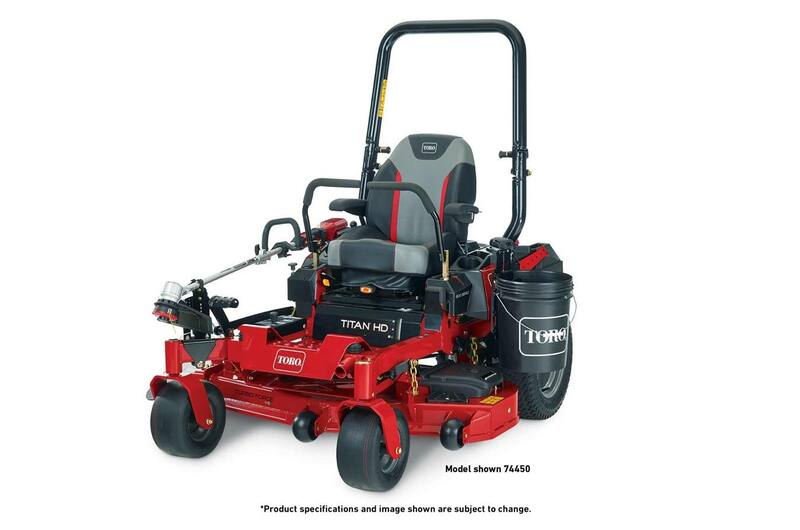 Enhanced Comfort: From the standard suspension seat, isolated floor pan design, easy access from the front or side of the machine, to the deck step guide and easy to use controls, Toro has the operator in mind. Innovative Tool Carrying: TITAN HD provides you the exclusive ability to safely and easily attach your tools and accessories directly to the mower with the innovative tool-mounting brackets. 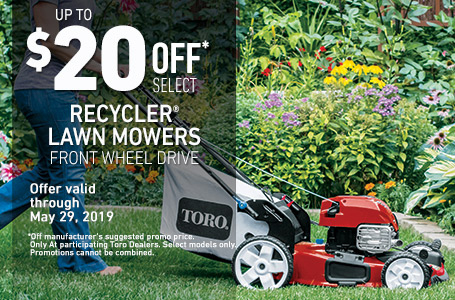 Commercial-Grade Durability: From the durable 7/10-gauge high strength steel TURBO FORCE® cutting deck, to the rugged 3" x 2" tubular frame and commercial-grade hydraulics, the TITAN HD zero turn mowers are built to last. 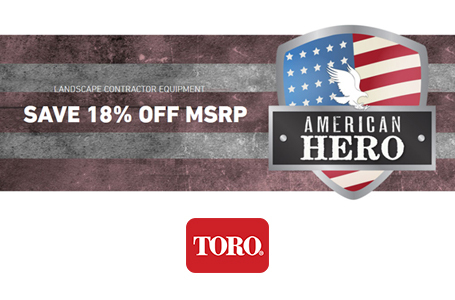 TURBO FORCE Cutting Decks: Landscape professionals worldwide rely on Toro's patented TURBO FORCE® decks for outstanding quality of cut and durability. Nothing cuts as fast or well as TURBO FORCE. Commercial-Grade Hydraulics: The integrated pump and wheel motor uses proven commercial hydraulic components while eliminating hoses and other potential leak points. 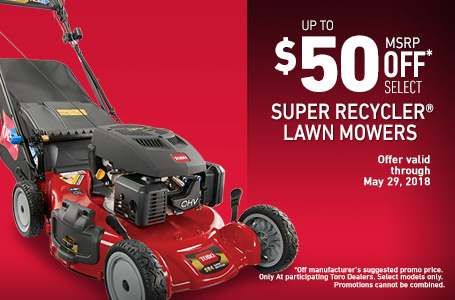 You'll get a smoother, faster response while enjoying an even more reliable machine. Easy Service: The flip-up floor panel and easy access to routine service points around the engine make service easy. Height Of Cut Adjustment: Change the deck height quickly and easily with this intuitively designed panel. Specifications subject to change without notice and without incurring obligation. Products depicted are for demonstration purposes only. Actual products offered for sale may vary in design, required attachments and safety features. Front: 13 in. x 6.5 in. - 6 in. ; Rear: 22 in. x 9.5 in. - 12 in.